Celebrate National Hamburger Month with a Hamburger Helper® Rebate! I love to cook. It’s just my thing, finding new recipes to try and creating new things in the kitchen is when I can release some creativity. Like last week, when I shared our Italian Cheesy Goulash recipe that was made from a box of Hamburger Helper®. If you haven’t tried it yet, pin it now so you can! So yummy.. But, sometimes finding time to cook for my family can be challenging, especially during the summer months. This is why I always have a box of Hamburger Helper® and a package of ground beef on hand, a quick and easy dinner solution. This last weekend, we made a family trip out to St. Louis. Then we came home to an empty kitchen. Eating out again was the last thing on our mind! It was a Sunday night, my husband had to work in the morning and there was no time to make a run to the grocery store. I reached into my stash and whipped up some Hamburger Helper® Lasagna with a side of garlic bread, topped it with a little green onion and a dinner was put together in less than 30 minutes. And who knew that in the process we were celebrating National Hamburger Month!? With over 60 varieties in the Helper® lineup, I’m always grabbing a box or two during my Walmart shopping trips! Ready to celebrate National Hamburger Month with me? 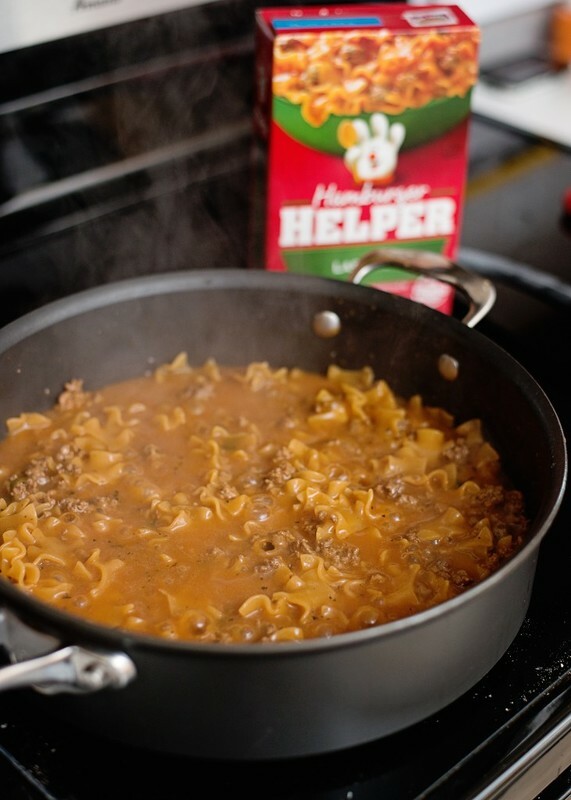 Print this $.50 rebate for Hamburger Helper® and take it to Walmart to pick up dinner. 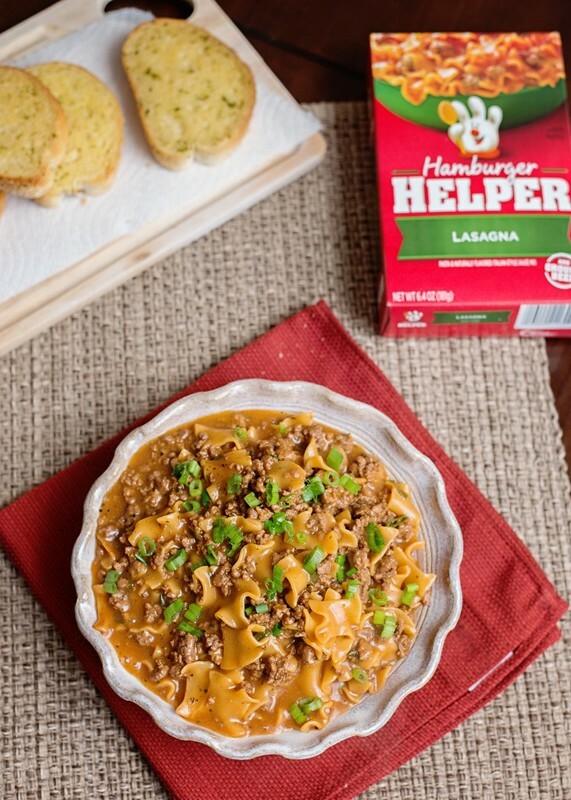 You can #SaveOnHelper too!